It’s just not the same! 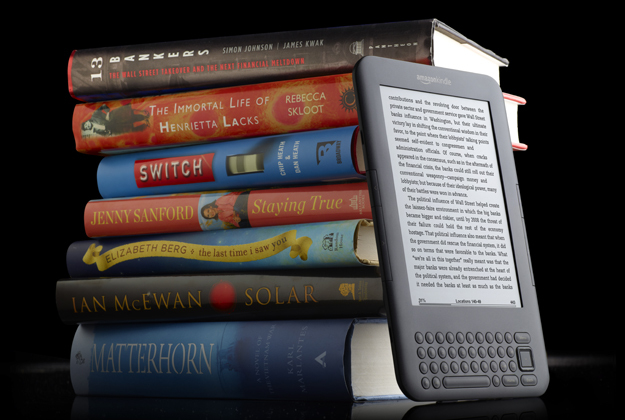 There are many electronic devices available for reading books both old and new. In some ways, they are very convenient. I’ll even admit to reading a work of G.K. Chesterton on my phone while jogging on the treadmill at the gym. But the truth is: it’s just not the same! There is nothing greater (well, maybe I’m exaggerating a bit) than holding a book in your hand. Let’s admit it, we love the smell of books! And an e-reader provokes no sweet sensations whatsoever! Those of us who love reading have moved beyond judging a book by its cover to developing a kind of friendship with the book, a literary companion, if you will. Books open themselves up to you, they share with you and wait patiently until you can give them more of your time and attention. They are with you on trains and planes and yes of course, on the Subte as well. Though I have owned a Kindle in the past, my desire for the printed word will always beat out the desire for convenience. It turns out that my instinct and attraction to the printed word might have positive repercussions not only for my mind, but for my body. What does science have to say about those thingamabobs? Check out this article and learn more! Until then, stick with real books!